Do you represent a Georgia State Government Agency and wondering how you should archive all your web and social media content? Are you trying to determine what you need to do both from a legal and a technical point of view? Here’s a guide to the different Laws and processes you should follow. What Laws govern Records Management in the State of Georgia? Open Records Act (O.C.G.A. §§ 50-18-70 to 76) and Open and Public Meetings Act (O.C.G.A. 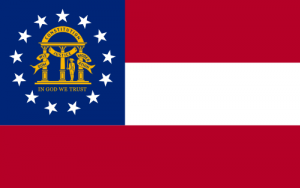 §§ 50-14- 1 to 6) – otherwise known as Georgia “Sunshine Laws” govern Open Records and in the State of Georgia. Do Georgia State Records Laws include Website and Social Media content? “Public records” are broadly defined to include documents, papers, letters, maps, books, tapes, photographs, computer-based or generated information, and similar material prepared and maintained or received in the course of the operation of a public office or agency. The law also specifically designates “computer records” as public records subject to the Law. “Agency” is broadly defined in O.C.G.A. § 50-14-1(a)(1) to include “every state department, agency, board, bureau, commission, public corporation, and authority…every city, county, regional or other authority established pursuant to state law” and more. All private entities that carry out governmental functions are subject to the Sunshine Laws. Each state agency shall prominently retain and make available for inspection and copying public records at the central office of such local agency to ensure transparent and open governance. Your agency website must be retained in electronic format and remain usable, searchable, retrievable and authentic for the length of the designated retention period. When archiving and making records available, an agency shall utilise the most economical means available. How can we transfer website archives made with PageFreezer to the Georgia State Digital Archives? PageFreezer exports all data on request in the original file format including the required metadata. This data set can be transferred by FTP or by other means to the Georgia State or Agency Digital Archives.